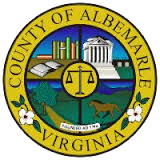 Albemarle County is accepting applications now through October 31, 2014 for the current round of the Acquisition of Conservation Easements Program (ACE), a powerful tool for rural land protection. Any landowner in Albemarle County whose land is worthy of protection according to the County’s Comprehensive Plan is eligible to participate in ACE. An evaluation system has been established to help rank properties in order of their conservation value to the program, with the final determination to be made by the Board of Supervisors. The Program will pay up to 100% of easement value depending on an applicant’s average adjusted gross income. Since the program’s inception in 2000, the County has closed on 41 easements totaling 7,555 acres while eliminating 459 development rights on those properties. This has translated to the preservation of a significant number of family farms that together have protected over 85,000 linear feet of stream and river frontage with riparian buffers, many of which lie in our drinking supply watersheds. The ACE program, aimed at preserving open space, natural resources, forestland, and farmland in Albemarle County through the purchase of development rights, was established by the Board of Supervisors in 2000 in response to accelerating development pressures created by the County’s continuing growth and urbanization. Conservation easements allow landowners to retain ownership of their land with specific restrictions in place regarding use and development of the property. Easements provide a lasting benefit to the public through the protection of open space, scenic beauty, wildlife habitats, air and water quality, and resources of historical, cultural and ecological significance. While funding for the program had been reduced in recent years due to the economic downturn, over $500,000 is currently available to acquire additional easements. Interested landowners are encouraged to apply to the program. Applications are due by October 31, are non-binding, and can be withdrawn at any time prior to closing. For more information and an enrollment application, interested citizens should visit the county website at www.albemarle.org/aceor contact Ches Goodall, the ACE Program Administrator, at 434-296-5832 or cgoodall@albemarle.org.